The early bird catches the worm! This harbinger of spring is waiting to perch on your hand. 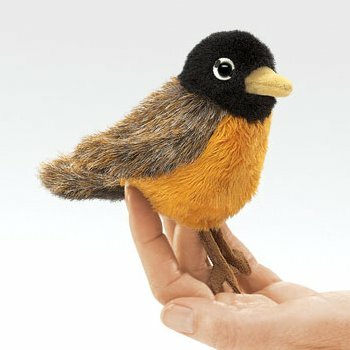 Bring the wonder of nature to your fingertips with this Robin Finger Puppet from Folkmanis.